On the face of it, selling your house online appears to be a simple and straightforward option. Just choose an agent, fill in a form, have some photographs taken and in a few clicks of the mouse, your home can be shared instantly with the millions of people who use sites like Rightmove, Zoopla and On The Market. How easy is that? Actually, it’s not that simple and there is another side to this. While millions of users will be alerted when your home is first advertised, how many of those recipients are buyers with genuine potential and how many might just be being a bit nosey? In the UK, we are renowned for our love of property, so it shouldn’t come as a surprise to learn that many people surf online sites just to look at the photos for design inspiration, extension ideas, to check out how much the neighbour’s house is on for – and also maybe, just maybe, to buy. This is the Achilles heel of online portals (and the online/hybrid agents out there who rely heavily on website enquiries). Just who are all these people looking around your home online? Rightmove and your agent will say that your home is receiving an excellent number of interactions per week and an impressive conversion ratio of brochure downloads. Sounds great and you’re flattered that so many people have taken the time to look at that kitchen which you sourced from Italy. But nobody has any idea who they are. How can the agent then put in a phone call to see if they have any queries, or ask that all important question, would they like to come and view? In my opinion, less is more when it comes to an online presence. So often do I see agents putting up photographs of every room, creating colourful 3D floorplans and fancy virtual tours. It can look good and get some great figures to feed back to the homeowner. But does it actually deliver results? Well, no. As every bit of information has been given away upfront, why would someone looking online want to call the agent? Quite simply they don’t, as they mistakenly think they have all the information they need. The art with online marketing is to put just enough detail out there to tempt genuine buyers to make that call. Put out too much, and they will prejudge that home and walk away, with you none the wiser. You need to make sure that the key rooms are portrayed well, and leave potential buyers wondering what the rest of the house is like. Then they are more likely to call the agent. This is when they can find out the detail they are after and your agent’s real work begins. Your appointed agent should have a proactive front of house team, who have seen your home in person, to take these incoming phone calls or walk in enquiries. They can talk knowledgeably and enthusiastically about it and accompany the viewers around, which is an art in itself. Remember, the lifeblood of any sale is the quantity and quality of your viewings. Relying solely on online enquiries and putting too much information out there is a sure-fire way to receive limited enquiries. No enquiries means no viewings, which inevitably means you can’t even begin to have a conversation about offers. Rightmove and it’s counterparts are undoubtedly effective marketing tools, but they must be used in the right way. They can be your best friend in getting your home in front of millions. However they can also be your worst enemy, as all information placed online forms a ‘digital footprint’. If you spend too long on the open market, this information can be found and buyers start as asking why you haven’t sold yet. Until a buyer makes an enquiry with your estate agent, they are completely anonymous to everyone involved and you are just a statistic. 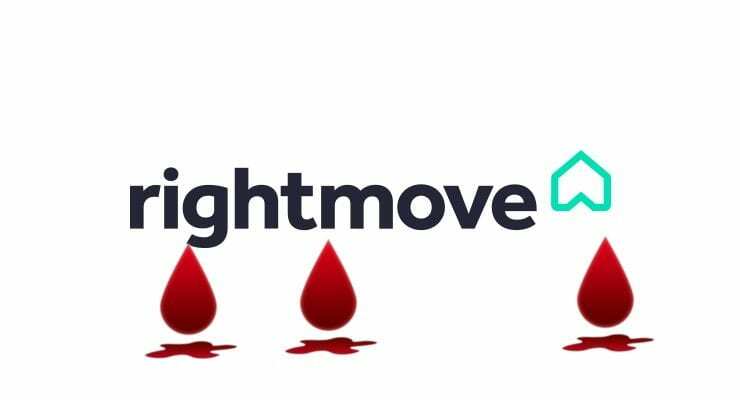 Rightmove is great, but getting the right balance with your estate agent, the other marketing tools at their disposal and above all, personal contact with buyers, is key to getting your move right.